This coming Wednesday, September 13, is the memorial of another great Early Church Father and Doctor of the Church, and a saint that is recognized by both the Eastern and Western lungs of the Catholic Church – Saint John Chrysostom. Known as “Golden-mouthed” because of the eloquence of his preaching, St. John Chrysostom has been honored since the Early Church for his many writings and spectacular words. If you were unfamiliar with this amazing saint of the Early Church before today, I would encourage you to read my two articles on him here and here. As I have done in the past, and most recently over the past two weeks, here is a Marian Prayer from the aforementioned Saint and Doctor of the Church. I said it last week and I say it again today – I find great consolation in these Marian prayers because it proves to me again and again how important the Blessed Virgin Mary has always been in the life of the Catholic Church. So many of the great Saints have written prayers specifically for her intercession throughout the centuries, notably in the Early Church. 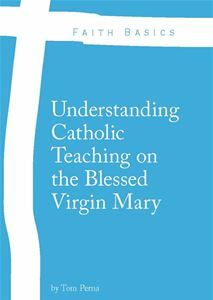 It also proves to me that the Blessed Mother has been a valid character in the life of the Church since then and not just made up over time or more emphasized in recent centuries. “All About Mary.” Prayers of Saints to Mary : University of Dayton, Ohio, 18 Feb. 2016, udayton.edu/imri/mary/p/prayers-of-saints-to-mary.php#anchor4.